Refreshing. . . . A perfect birthday book for a toddler! --SCHOOL LIBRARY JOURNAL (starred review) Now available in a dual Spanish-English edition! A Chicago Public Library Best Book for Children and Teens What's better than getting a brand-new toy as a birthday gift? Playing with the box it came in! Climb in for a flight across the ocean, a jaunt on a sailing ship, some sledding down a slippery slope, and a brief stint as a robot. Good thing the toy pup that came inside the box is happy to come for the ride! 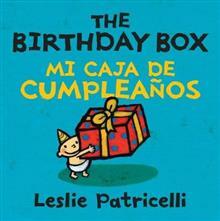 Leslie Patricelli draws from the well of parental wit and wisdom for this adventure starring her beloved baby character. 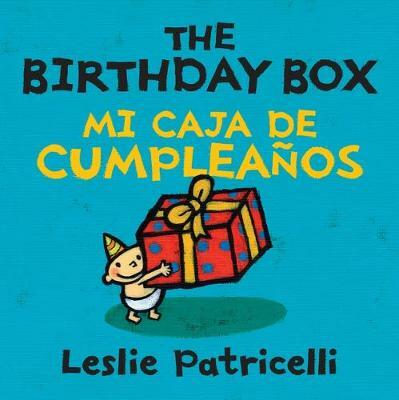 Leslie Patricelli is the creator of the bestselling board books starring her adorable bald baby, including YUMMY YUCKY, BIG LITTLE, QUIET LOUD, NO NO YES YES, and BABY HAPPY BABY SAD, and the picture books THE BIRTHDAY BOX and HIGHER! HIGHER! She lives in Idaho.